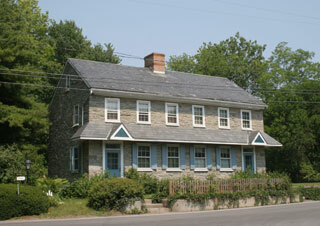 This colonial fieldstone homestead was built in 1754 and was originally part of Brua's Mill. It housed Samuel Brua and his descendants until the turn of the century when it was sold. It is "thought" to have been built by Jacob Ferree, son of Philip, and grandson of Madame. It was known for a time as The Parson's Place Bed & Breakfast but is presently a private residence.